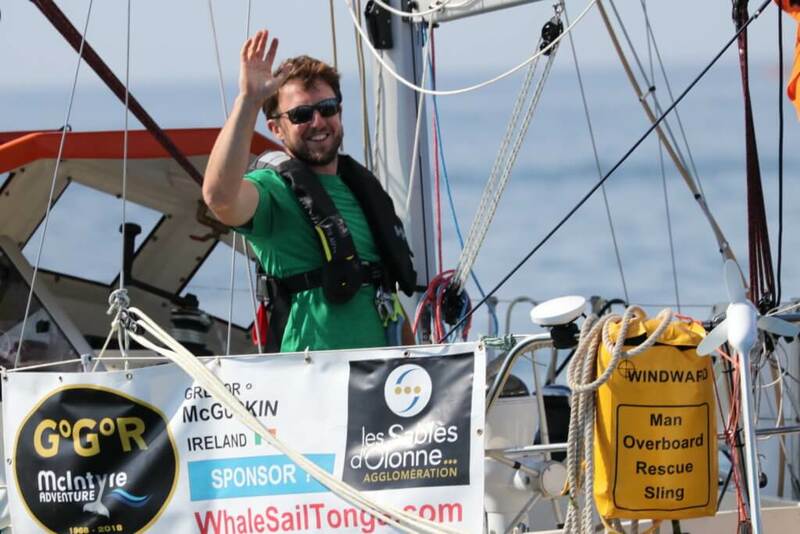 In an epic, daring feat of skill and endurance, earlier this summer, Irish Sailor Gregor McGuckin launched his vessel, a Biscay 36, off of the shores of Les Sables D’Olonne to embark on a round-the-world expedition. A voyage that would have him sailing to the furthest ends of the globe in some of the roughest sea conditions imaginable. The competition, The Golden Globe Race, is a non-stop, unassisted race around the world in which competitors must sail unassisted by modern technology. In order to commemorate Sir Robin Knox, the first man to single-handedly circumnavigate the globe while sailing, sailors can only use technology that was available in the 1960s. That means no GPS, no satellite communication, no internet and no phones. “It was such a difficult challenge, it’s sort of the ultimate challenge in sailing really. Sailing single-handedly around the world without stopping in a little boat without technology … you can’t get much more challenging than that. So the opportunity came up and I just wanted to give it a go,” says McGuckin. Sailing through the roughest conditions, non-stop for nine entire months alone would be enough to drive a man mad. However, McGuckin took this race in stride and even performed some heroics along the way. 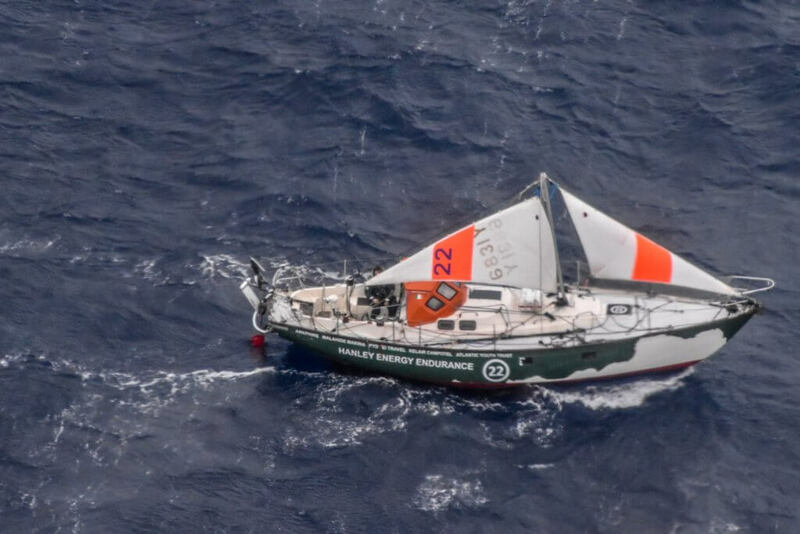 While sailing in the southern Indian Ocean, an epic storm hit McGuckin, causing the mast of his boat to collapse. Fifteen-metre swells and abhorrible storm conditions tossed McGuckin’s boat around, rolling the shell and damaging vital mechanisms. McGuckin emerged from the storm with two broken masts and vital sailing instruments in pieces, rendering him unable to proceed with the race. Then, upon hearing that one of his fellow competitors, Abilash Tomy, was injured in the storm. McGuckin promptly made a make-shift sail and began sailing 90+ miles through some of the roughest sea conditions back to Tomy’s boat. On top of his boat being dismasted, McGuckin’s vessel also lost the capability to automatically steer. So, in order to reach the other competitor in distress, he had to manually steer his boat for three days in order to keep it on track. During the storm, Tomy’s vessel had rolled 360-degrees and suffered sufficient damage and Tomy himself greatly injured his back. 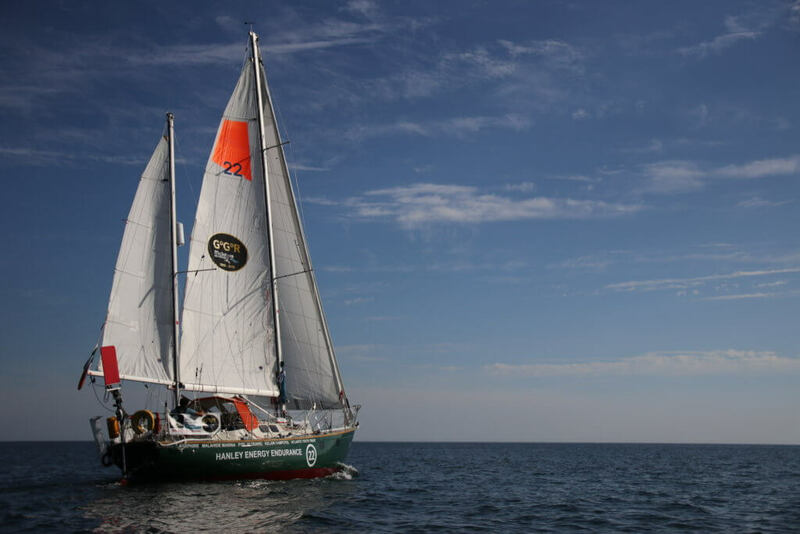 A few hours before McGuckin reached Tomy’s vessel, a French fisheries patrol vessel successfully rescued Tomy. Due to the extreme damage on his boat caused by the storm, McGuckin had to make a challenging decision on whether to take refuge with the French ship as well, or risk being in serious trouble if another brutal storm hit. McGuckin decided to leave the Golden Globe in order to preserve his safety, but only after making a daring attempt to rescue another man from a terrible and frightening scenario.